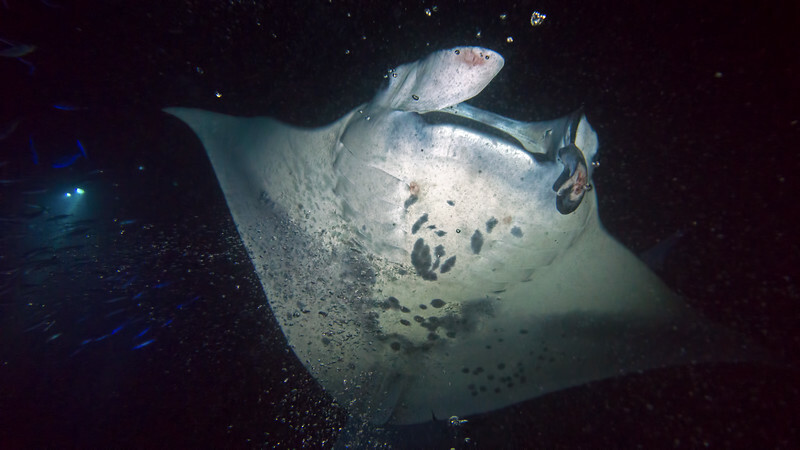 Humans and climate change are the biggest threats to mantas. They're hunted for terrible reasons, and often injured by encounters with boats. This manta has a mandible injury, but it won't impede its ability to feed. Lefty, another manta with just one functioning mandible, often comes to the Kona manta buffet. She was first identified on June 1, 1979!! Clearly, she's done well.